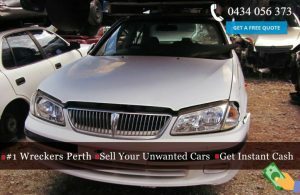 Being a reputed brand as the leading Joondalup scrap car buyers, we have maintained and upheld qualities and standards that make us outstanding in the sphere of car wrecker services. The most significant aspect that sets us apart from the rest is that we pay cash on the spot. Not just this, but if you find any other brand paying more than we do, feel free to get in touch with us and we will pay you the exact same price. You can also get Free Cash estimates. Yes, just call us for free at 0412 279 566 or fill out the e-web quote form on our website. That is all and we will send you a quote within 24 hours absolutely free! 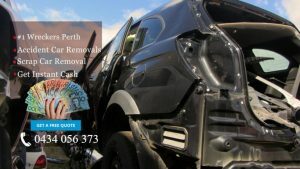 You will get fair quotes and estimates and can take advantage of our car wrecker services in Joondalup any day. Most junk unwanted vehicle or car removal services in Joondalup discriminate with regards to what kind, size and model of the scrap vehicle is being taken in for disposal. But we don’t do any such thing. We offer free car removal process in Joondalup. We have years of experience in removing junk cars. Get your vehicle removed by experts. We believe that both the parties can make a great profit from the vehicle, and thus we make sure that the towing company you select accepts the junk car or vehicle you want to dispose of. We make it easier for you to know and understand the types of vehicles you can get disposed of in Joondalup properly. Contact now for the best Joondalup cash for cars services.